Amazon.com's shipping charges are outrageous, so s...w them ! 3.44$ for 2 discs. My search was not in vain, then ! 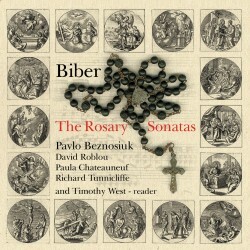 This Ph.D thesis on violin sonatas has a chapter on the rosary sonatas starting at page 108. I thought it was the best thing I’ve ever read on the mystery sonatas. 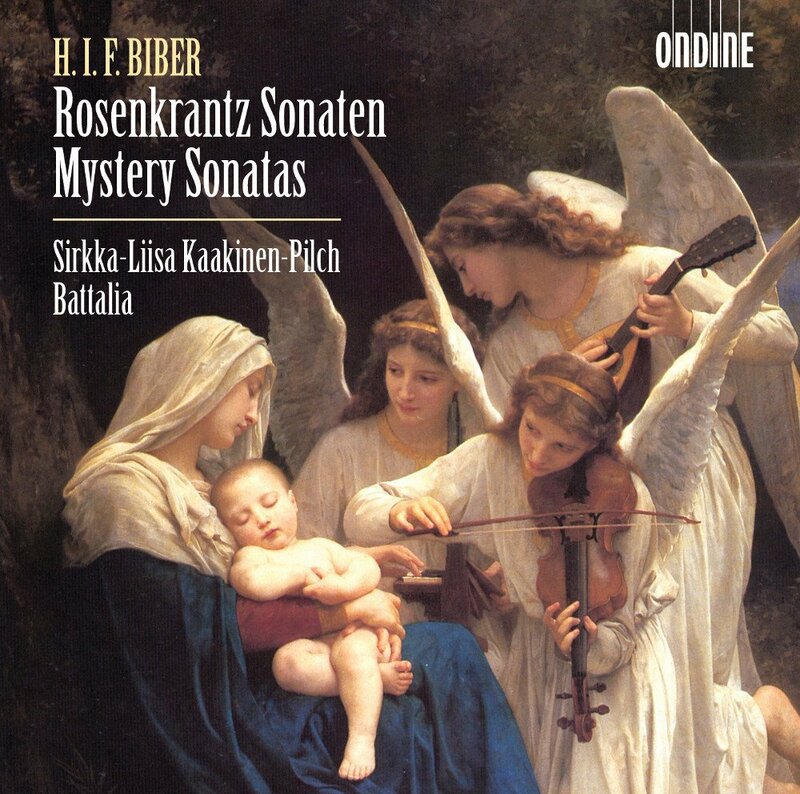 Honorable mention goes to the Anne Schumann and Sebastian Knebel duo recording with violin and church organ only, which provides a rather different take and sound. I'm very much enjoying the restraint and intimacy of Knebel and Schumann, and the ambience of the recording, thanks for mentioning it. 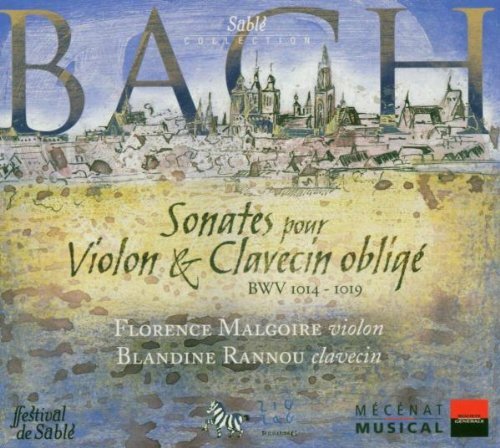 Just as I've found with the Bach violin sonatas, an organ may well be a a contrapuntally interesting partner for the violinist. And if these sonatas had a church function (who knows?) 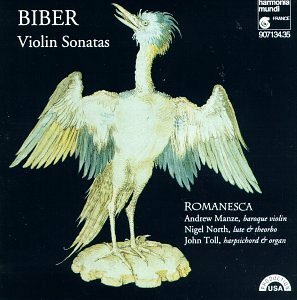 it may well have been what Biber was thinking of. What's in the booklet? Do the performers say anything about what led them to this experiment, and what their journey was like? Is there an essay by a reputable academic? I don't have access to it anywhere. Clearly Walter Reiter knows how to play a violin. He's thought hard about the expressive requirements of the music, and he can convey them. The sound is rather good, you can hear resonances for example. However I very negative reaction to it because I was all the time aware of how hard Reiter was working to make me feel. I felt like I was being coaxed like you might coax the dog from behind the sofa -- or, this is more like it, being hectored at, bullied almost. Got the word now -- manipulated. I don't mind if these guys manipulate me with their siren song, but I want them to take me so gently by the arm and lead me that I feel as though I'm going with them on the trip naturally, not being cajoled into the journey. It is clearly a very good bit of violin playing. And it is very much his show, the others are in a supporting role at best. I may feel differently tomorrow. Have you heard Rachel Podger's recording? 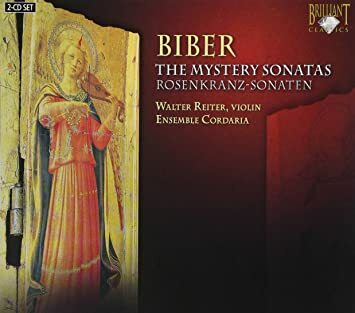 She has three musicians accompanying her, though the ensemble size & instruments vary between pieces, theorbo/archlute, harpsichord/organ, and cello/gamba. I have dipped into Podger without so far having any thoughts. So what am I missing? Is the cantata not "liturgical"? Is it not a minuet at the start? 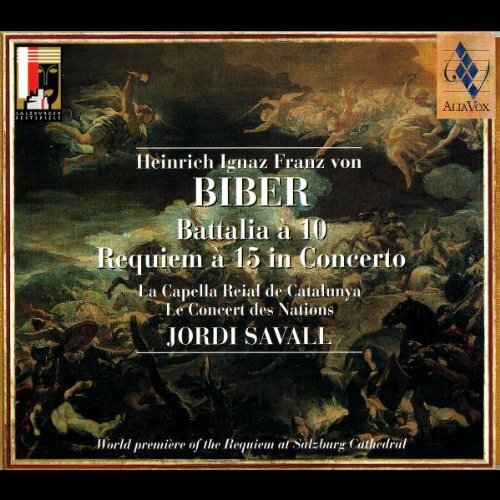 Were the conventions in Biber's church different in this respect from Bach's? Or is Lindsey Darlene Strand-Polyak's argument a bad one? Avie’s version is unique for its inclusion of the spoken texts which would have been read during Rosary devotions in the 1670s, here eloquently delivered by well-known television and stage actor Timothy West. When I type bits of the text into google, nothing comes up. 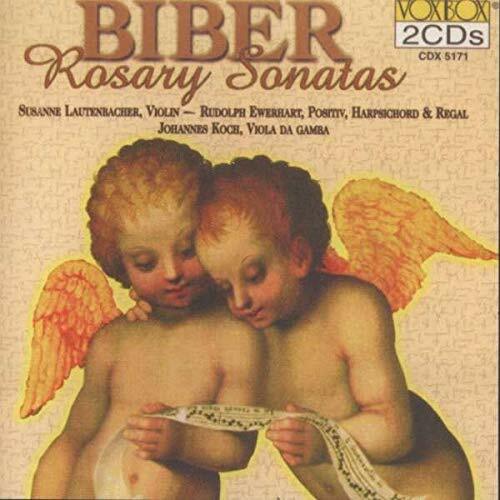 Well, this morning I listened to the only discs owned of Biber's vocal/sacred works, i.e. Missa Christi resurgentis written in 1673-74 and first performed in Salzburg and the Requiem - now onto my other discs which are violin & chamber ensemble music - not sure 'how much' overlap I own, but this WEBSITE has a listed classification using the letter 'C' and numbers ('C' either stands for Catalog or Eric Thomas Chafe). The first recordings up are the bottom 2 pics, i.e. 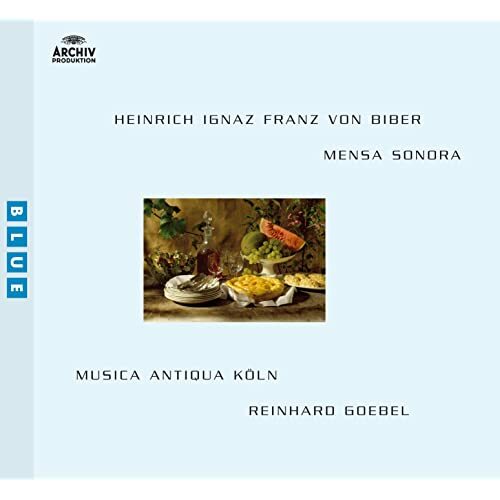 John Holloway on one disc and Manze/Romanesca on 2 discs; using the link, Manze performs "C 138–145, Sonatæ violino solo, 8 sonatas (Nuremberg, 1681)" plus adds "C 146, Sonata violino solo representativa (Representatio Avium), circa 1669", "C 106, Pastorella" and "Passacaglia for solo violin" from the Rosary Sonatas; while Holloway plays 4 of the same sonatas plus 2 'unpublished' ones - both performances are excellent and complementary. 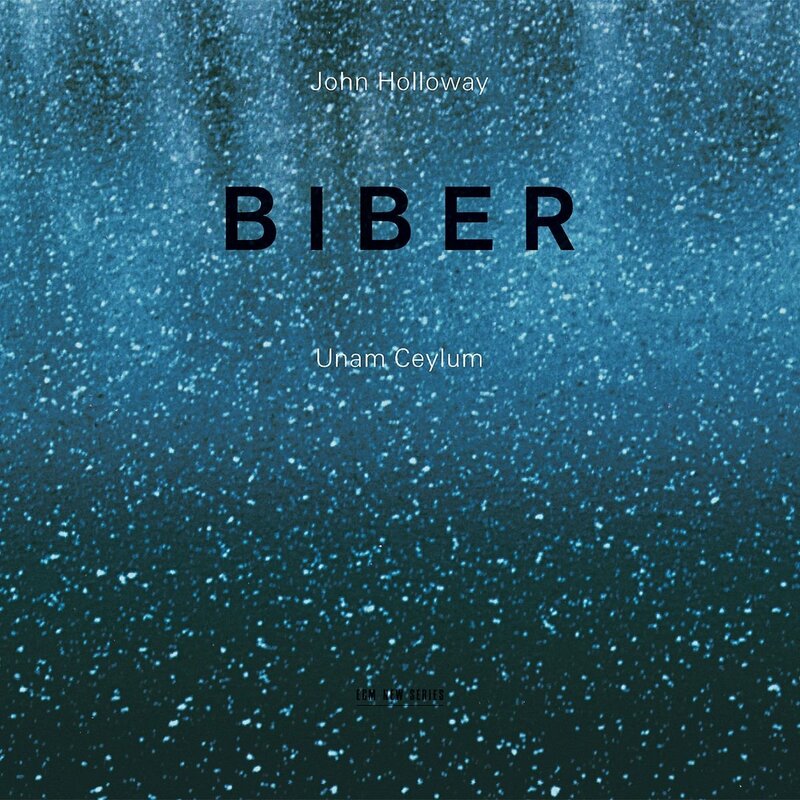 I like the Holloway disc. It is...different . 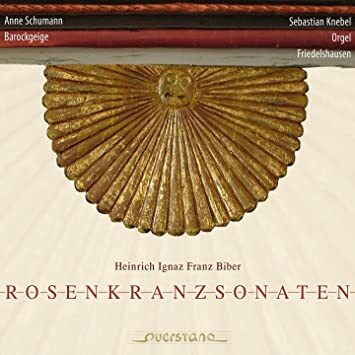 I've been listening to these recordings of the Rosenkranzsonaten. There are three volumes. 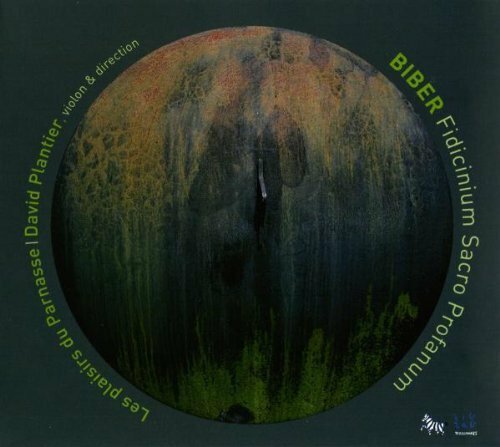 Each CD was done in a different church with a different organ. I think they are very good, although the acoustic gives the violin a distant sound. the Violin Sonata No. 3 is one of my favorite pieces of classical music! I cherish both of these performances. Hi Dave ! 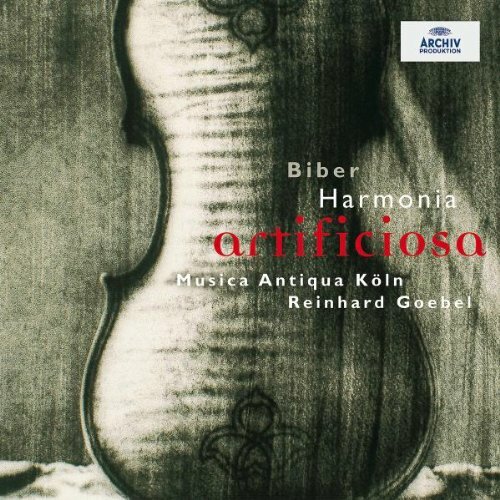 Expect a good ear cleaning from Goebel’s version . After more extensive listening I cannot recommend these recordings. The recorded sound of the violin is just too distant, and there appear to be significant intonation issues. I am not sure if those are the result of the scordatura and/or issues with her playing, or something else. But I will not listen to these recordings any more. 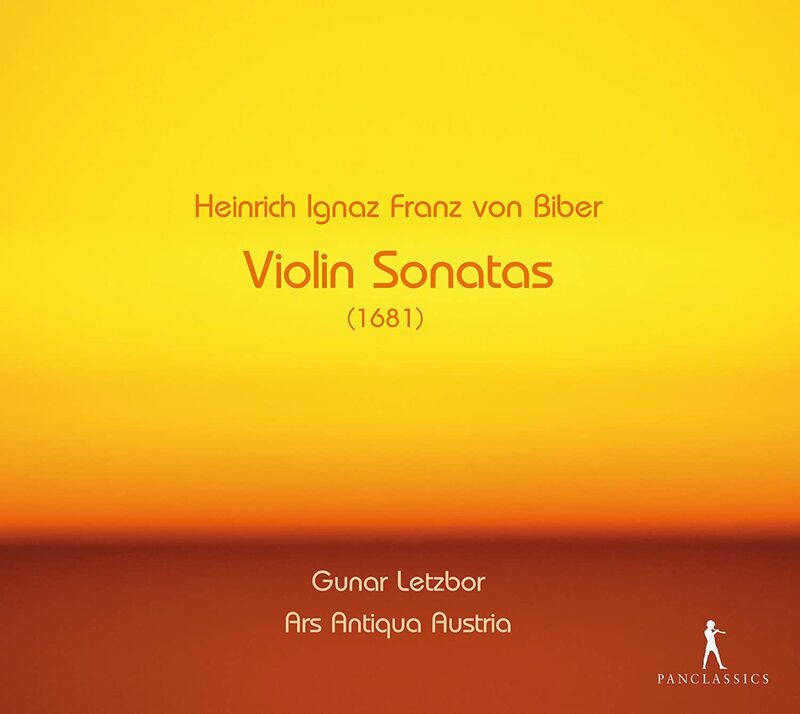 Just finished listening to the Violin Sonata 3 in F major performed by Gunar Letzbor and Ars Antiqua Austria. It's amazing. 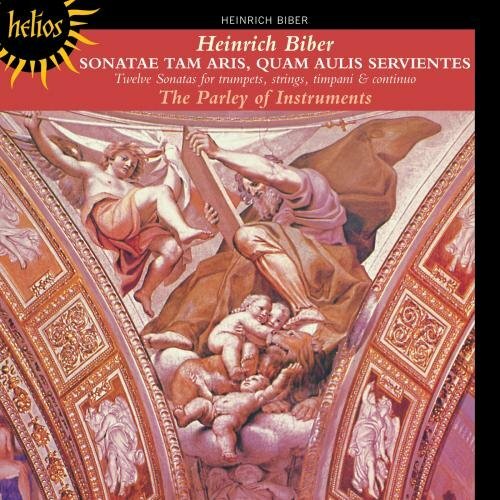 Gunar truly infuses this sonata with personal, and artistic touches, utilizing freedom to the tempi, dynamics and phrasing unlike any other performance I've heard before. It's a beautiful rendition, and with a perfectly balanced Ars Antiqua Austria to back Gunar up. This is my first time hearing this performance, and it rivals the others I've heard.
. But I will not listen to these recordings any more. You sound like Queen Elizabeth in Blackadder. There’s just so much that’s revealing and unique about these searching performances, I think they are a very valuable edition in music which on record is, I think, often treated in a shallow way. Have you tried turning up the volume? That did the trick for me. As far as intonation is concerned, I hear scrunchy harmonies and surprising dissonances, I just assumed that it was by design, anyway I’m pretty tone deaf.